NY is the birthplace of great literature, the home of the world's finest newspapers, the nexus of theater and a great multilingual, multicultural, high impact creative heartbeat of not just western culture but of ideas that affect and infect the world. How did it get this way? Why NY? What were the sparks that let the creative gun powder? 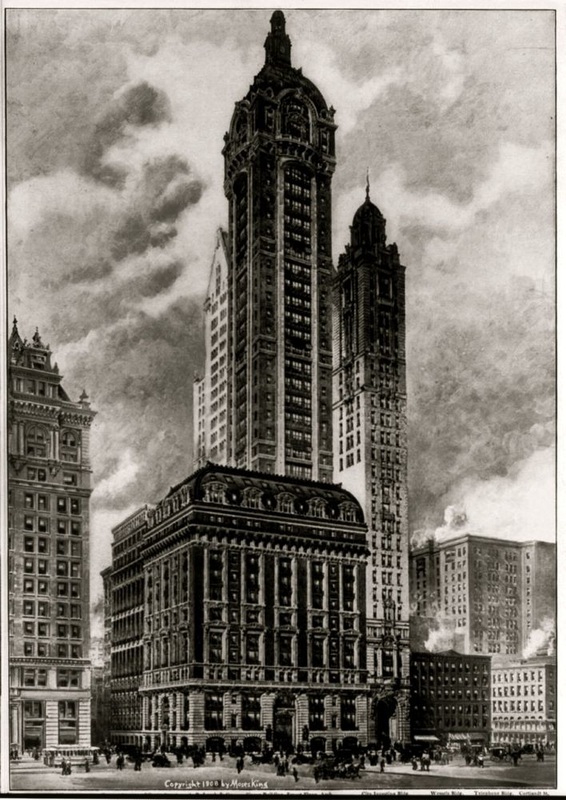 ​ What's the history of this fabulous and many storied metropolis? In this lifetime, New York has always been tomorrow. It is what will happen in the rest of the world. Its emerging art, music trends, wall street and the world's greatest capital markets. It's where new industries and ideas find support and where Schumpeter laughs as tired old ideas die. New York is not about things. This novel is about people and no one tells the story of this city's changing population over the last four centuries better than Edward Rutherfurd. Historical fiction though this book is, it gives us a glimpse of how New York came to be what it is now, a metropolis with a personality yet to be outdone in the world. How did this come about? How did it overshadow some of the bigger cities of Philadelphia and Boston? Why New York indeed? In this book, Edward Rutherfurd tells us how New York started. Just like many other cities in colonial America, it started as a tiny Indian village and changed with the times, first, with the coming of the Dutch who settled here and called it New Amsterdam. This was followed by the British and eventually, the Germans, Irish, Italians and other new immigrants and how families from these groups built this place into the world's financial and trading center that it is today. Each group and this is highlighted in the novel by key characters gave of their tradition and made New York its character. Newspaper Row. Public Domain, Wikimedia Commons. The coming of the Dutch, then the English, the Civil War, the Prohibition, the wave of immigration, the Great Crash and eventually 9/11. 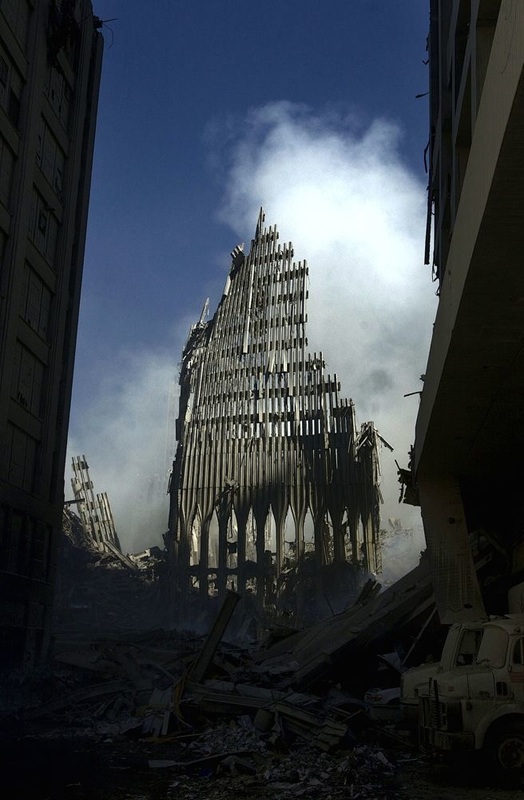 These events made New York the city is today. ​While there may be a bit of simplification of complex historical events, none misrepresent the general historical record, so, it is more engaging to read this novel than the historical records. 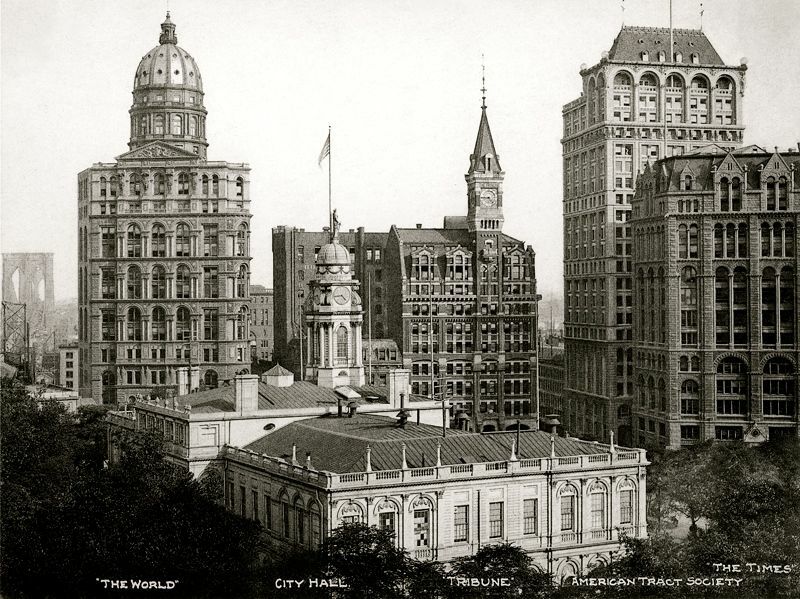 It gives us a good picture of how the events unfolded, how they changed New York society. Rutherfurd, in this novel, placed his major characters in the fabric of these events. As events changed New York, the characters' families also changed moving up or down the social ladder. Read in this novel how the building of these railway lines and the rail system changed the character of New York. In fact, it changed the map and the boundaries as the rich continued to go uptown and built bigger mansions there. See in this novel how the Italian families as well as the others used the skills learned in their mother country and applied these in the construction of this famous building. 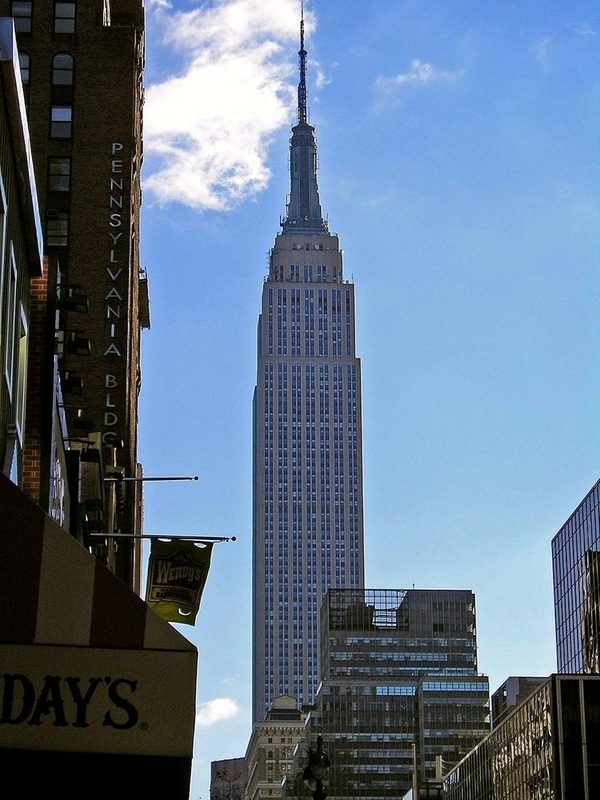 Just like the Chrysler building, this New York landmark is another epicenter in the novel. The book shows how each group of immigrant families with their own particular skills learned in their mother country made the building. The new country wants the trimmings of the old country. Prohibition changed fortunes, too. 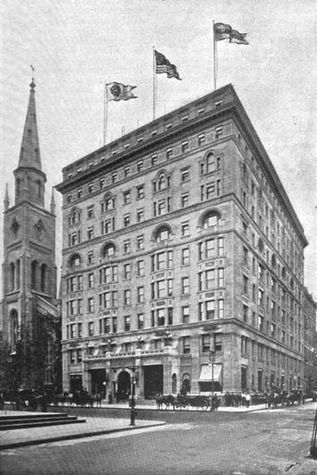 The novel used this particular event to show how some families took advantage and profited much, and with their new wealth, became respectable members of New York society. The focus on families as characters painting of how New York grew as a magnet for those who wanted to change their stars. Families came to escape the horrors of Europe to build a new life. 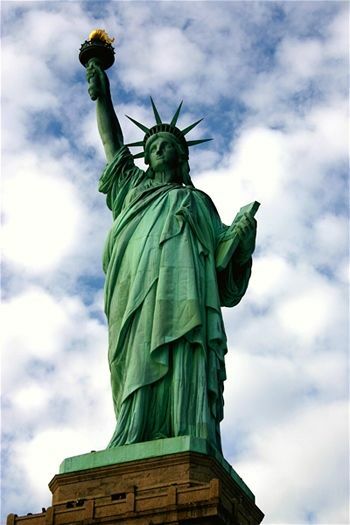 Shiploads arrived in New York and were welcomed by this statue, the symbol of their new land. In the novel, Rutherfurd intricately wove the significant contributions these families and their traditions have to New York's economic, social and culture fabric. This unfortunate event marked the end of the novel but certainly not the end of New York. It marks the end of a paragraph but certainly not the end of history. This great dynamo will continue to push the edges of our civilization and draw to New York the artists, the innovators and the creators of the world. Other than the guy who write these long epic novels, Edward Rutherfurd wrote this book when living in New York. His real name is Francis Edward Wintle. Not originally from New York, this Englishman born and raised in Sarum along the Avon river, found himself drawn to New York and blamed this on his Viking ancestors. Describing this experience in his brief in Amazon, he said, "when I first encountered New York's great harbor and the Hudson River as a teenager, and came to understand their historic canal and railroad links to the vast spaces of the Midwest, I felt both the thrill of a new adventure, and a deep sense of homecoming". Rutherfurd's love for New York is such that when he dieshe wants his children to scatter his ashes in the Hudson River. In his own wrods, what he loves about New York is that "people have always come there in search of freedom, and usually found it". He still lives in New York with his American wife and children and has even served in a co-op board. This novel is one of the most interesting historical fiction I have ever read. Salisbury and its cathedral are still part of the magic of southern England. Turner's painting immortalizes the Cathedral in our mind's eye and Sarum built the story around the Cathedral's creation that is an exciting retelling of history but also a wonderful novel. Why is the novel New York worth reading? What better way to know about the history of this famous place than to read this novel? It is very engaging and while it is fiction, the author tried not to misrepresent general historical records. Complex events though simplified became more understandable as the characters portrayed how these events changed them and New York society as a result. Enjoy the story. It is fiction and the writer has taken some liberties in the families and places in the history of New York. And for those of you who really want the historical facts, read the history books. But for now, enjoy the story. I was in New York in late July to early August. I have not been for years but immediately I was at home. I was swept by the energy, the creative spirit, the life that pervades the city. I am not sure if I will call it the centre of the world but certainly I want it to be the centre of my own universe. What about you?